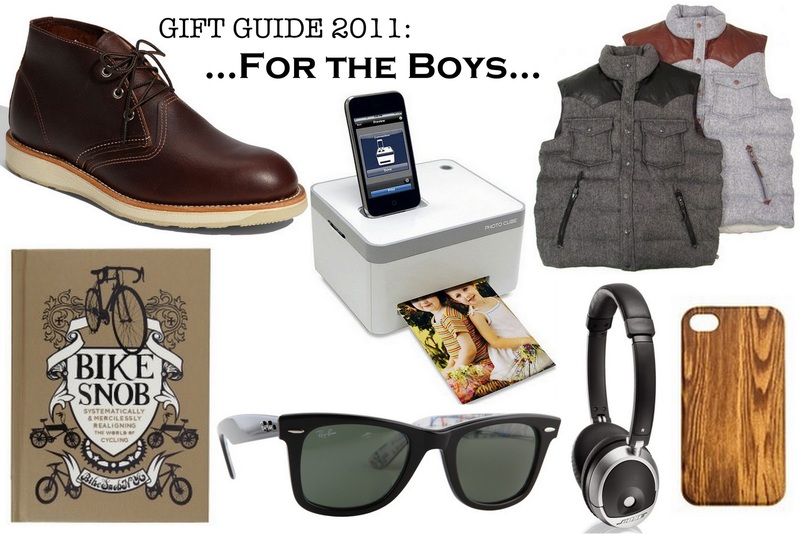 Starting off this year's Gift Guides with on for the Boys in our lives! Dad, Brother, Boyfriend, Husband any and all apply! Get him stylish, functional gifts he'll love!!! In addition to the above, a new wallet is a great idea, or give him something funky & cool for his office (I think my brother would love this one!)!!! Have you gotten your 'Man's' gifts figured out yet? What did you do? PS- Hop over to Stripes & Sequins - Grace is featuring her favorite Etsy shops..... guess whose is there!!! :D Lots more clutches coming this week, just in time for the holidays - for yourself or your ladies!!! Sunglasses are a brilliant idea! Guys can be so hard to shop for. I just ordered that little printer for my mom, love it! Great picks! Great list! I especially love that iPhone picture printer! love this... and what a fun title! that wooden iphone case is awesome. I never know what to get yt, that iphone printer looks pretty sweet. Some definite cool items on here! Enter to win 5 shirts from StyleMint! Too funny, my boyfriend was just saying last night that he likes that Penfield brand, so I've been scouting out the site all morning for gift possibilities for him! The vests are awesome, but I think I might go with the shawl collar jumper! Such cute, classic stuff! Love this iphone case, too! Annnnd, you just officially sold me on the book, too. Thanks for the awesome ideas, Taylor! xo! Love those sunglasses. This is a great list. Shop for your man at CITY SOLES in Wicker Park! Visit us online to shop men's shoes Chicago! Great guide! I really like the iphone case! PS - thanks for the shout-out, your clutches are the best! ok the iphone picture printer is freaking brilliant and hubs would love that vest!! I love the list for men, I found they are often hard to shop for, because they really don't want tools like the commercials portray.